For all but the wilfully obtuse, the need to diversify our theatres is obvious. Great strides have been made over the last few years, but inclusivity in theatre largely remains a case of two steps forward, one step back. While audiences may be seeing increasingly diverse casts on stage, institutional discrimination behind the scenes means those characters are still as likely to have been written, cast and directed by the same people as ever. Nowhere is this more obvious than in Shakespeare. Five hundred years after his death, the UK’s theatres remain dominated by the Bard, and this huge portion of the British theatre scene is still too often ambivalent towards anything more than basic visibility. For all that traditionalists may grouse that white men are being “elbowed aside” in classical theatre, BAME (Black, Asian, and Minority Ethnic) performers remain systematically relegated to minor roles, while Emma Rice’s brief, tumultuous run as the first female artistic director of Shakespeare’s Globe has demonstrated the hostility aimed at women behind the scenes. As a result, it’s largely privately educated middle and upper-class white men who are trying to answer the question of how to stage a body of work written at a time when women were legally barred from performing and The Merchant of Venice‘s Shylock could be considered a sympathetic portrayal of Judaism with a commitment to reflecting the diversity of modern Britain. When they have an answer, it’s mostly been blind casting—casting parts without consideration of how a performer’s race or gender aligns with the character as written. ‘Without consideration’, however, is rarely a good way to approach anything, let alone an issue as fraught as this one. Blind casting relies on the faulty assumption that a story is unaffected by the identities of its characters; it ignores the world outside the theatre and the biases an audience will bring with them. Take, for example, the casting of African-American actor John Henry as the traditionally white Billy Bigelow in next year’s Broadway revival of Carousel. Bigelow is the show’s male lead—a boon for Black visibility on stage – but he’s also a violent and abusive criminal, raising questions over whether the choice perpetuates negative stereotypes about Black men. 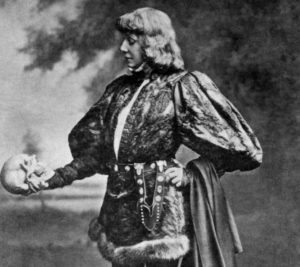 Theatres have long been casting Shakespeare’s characters beyond the confines of their textual race and gender—French actor Sarah Bernhardt was earning rave reviews for her Hamlet in 1899. However—with notable exceptions, such as Phyllida Lloyd’s all-female production of Julius Caesar, staged as inmates in a women’s prison performing the play—most productions have downplayed what effect that may have on the work. Many non-traditional Shakespearean actors have taken the lead on this, arguing that they want the focus to be on their work, not their identity. All these issues came to a head for me with Simon Godwin’s recent production of Twelfth Night at the National Theatre, starring Tamsin Greig as a white, female, lesbian Malvolio, renamed Malvolia. Queer women and our stories are vastly underrepresented on stage—with Fun Home closing its Broadway run last year, I thought we’d be unlikely to see another lesbian character in a major theatre until the next revival of Rent. Sure, Greig is straight and the director a man, but I was still thrilled as posters for the play began to cover London, exhilarated every time I saw Greig, her hair cropped short, staring down the camera in a suit and heels. She was coded queer; she was coded powerful. I assumed she was in character. I was wrong. Greig’s Malvolia, it turns out, was much the same as Shakespeare’s Malvolio. Rather than the powerful, self-assured woman shown in the publicity, she’s detestable, delusional and pathetic. She’s in unrequited, and unrequitable, love with her master. She’s tricked into expressing that love, humiliated, locked up as a madwoman and, in the end, left entirely alone while the other characters celebrate. The difference between the two, of course, is that Malvolio is a straight man, while Malvolia is a lesbian woman. What does it matter? 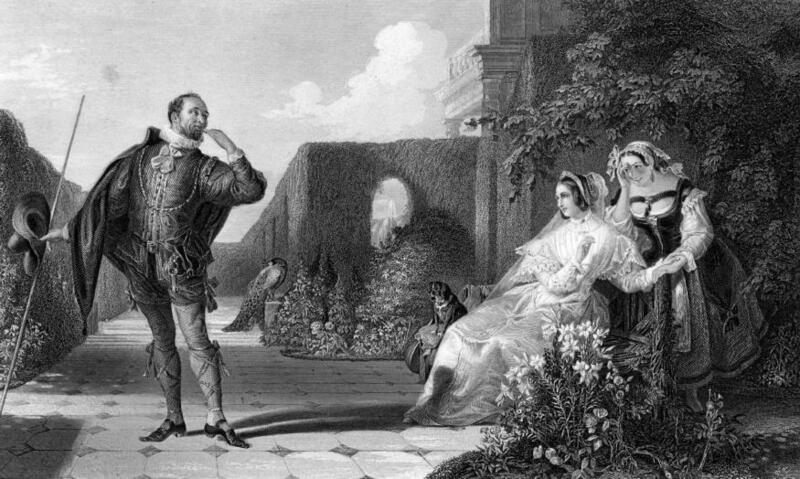 In isolation, making Malvolio a lesbian simply adds much-needed textual LGBTQ representation to what is already one of Shakespeare’s queerest plays. However, no story can be read in isolation, and Malvolia’s is one that queer women have seen many times before. 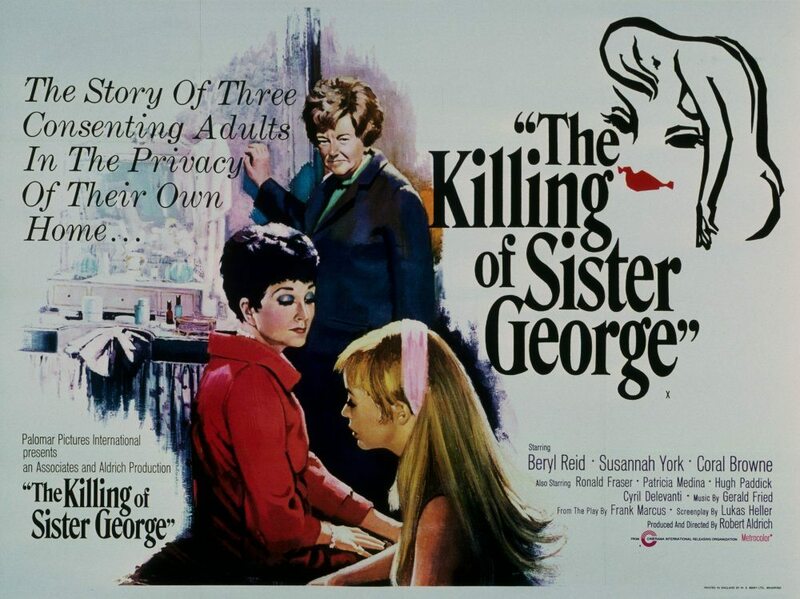 As Malvolia, Greig stalks her mistress’ household with pursed lips and pageboy haircut, channeling the predatory, repressed schoolmarm lesbian of Rebecca and The Killing of Sister George. Her obsessive love for the uninterested and pitying Olivia, meanwhile, echoes a stereotype that’s persisted from the lesbian pulp fiction of the fifties and sixties through to 2006’s Notes on a Scandal and beyond. Greig’s performance was exemplary; the audience at my performance adored her (on a tough night for comedy, as well, given half of central London was still shut down after the Westminster attack). I’d be surprised if she isn’t at least nominated for an Olivier next awards season, and I can’t say she wouldn’t deserve it. But if this Malvolia had been played by a queer woman – a woman who knew these stereotypes intimately, whose path through the world had been shaped by them in a thousand subtle ways – would she have made the same choices for the character? Would a queer female director have looked between Malvolio’s character arc and the violent misery queer female characters are too often subjected to in our media and also decided to apply it unaltered to Malvolia? Similarly, Malvolio’s perceived insanity and subsequent imprisonment takes on troubling implications when applied to Malvolia. Queerness and mental illness have a long history together. The World Health Organization only removed homosexuality from its International Classification of Diseases in 1992. 25 years later, queer women around the world continue to be pathologized and subjected to harmful and abusive conversion therapy, often against their will. The portrayal of queer women in pop culture and the media is still coloured by the trope of the “psycho lesbian.” And in real life, lesbian and bisexual women are far more likely to experience long-term mental health issues than straight women. In this light, a story in which a lesbian is decried as mad, locked up and tormented seems problematic at best and cruel at worst. On the face of it, British classical theatre has achieved an enviable level of diversity—hell, besides Greig’s Malvolia, this spring’s major productions of Twelfth Night alone have given us comedian Doon Mackichan, trans actor Kate O’Donnell and legendary Nigerian drag performer Le Gateau Chocolat as Feste, the latter joined by Katy Owen’s Malvolio, and all of them part of a mixed cast. Scratch the surface, though, and Shakespeare remains under the control of the same kind of men it always has been. Rather than sit back and congratulate itself for inclusive casting, the theatre world needs to step up and commit to highlighting diverse perspectives behind the scenes. Until then, I fear we’re going to see a lot more Malvolias.